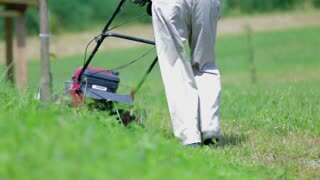 Search Results for "mow lawn"
1970s: Man mowing lawn, tilt down to lawnmower. Close up of thermometer. 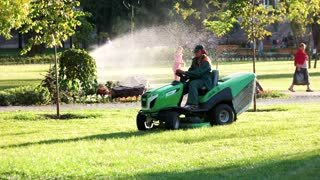 Man mowing lawn. 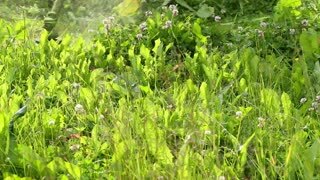 Zoom in, close up of lawnmower. Cemetery headstones caretaker groundskeeper mow lawn DCI 4K 1135. Groundskeeper caretaker mowing lawn, green and beautiful respect for dead and families of the living. Headstones and graves on gentle hill above a rural community. Perpetual care. 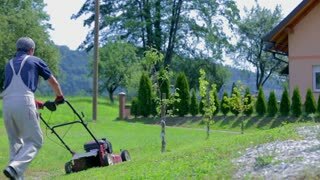 Rural cemetery grounds keeper mowing lawn DCI 4K 1133. 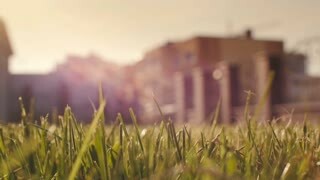 Groundskeeper or caretaker mowing lawn to keep it green and beautiful in respect for the dead and families of the living. Headstones and graves on gentle hill above a rural community town. 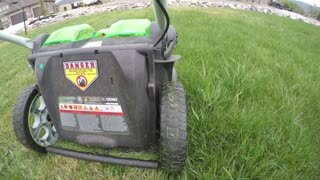 Rural cemetery caretaker mowing grass lawn DCI 4K 137. Groundskeeper caretaker mowing lawn, green and beautiful respect for dead and families of the living. Headstones and graves on gentle hill above a rural community. Perpetual care. 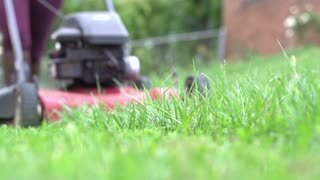 Close-up of mowing the lawn. 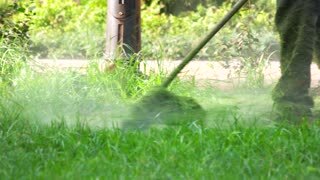 Female Mowing Lawn in Suburbs. 1950s: A man and a woman mow the lawn with a scythe. Woman smiles and wears a headscarf. 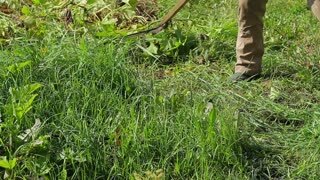 Man mows the lawn with a scythe. 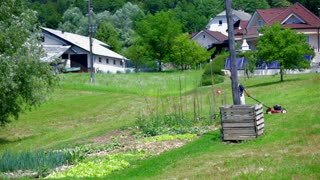 Farmer woman mowing lawn in residential back garden. 1970s: Air Force building. Door with sign. Women talk in office. Woman directs woman behind desk. 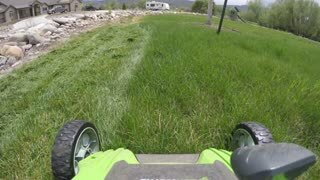 Man mows lawn. Librarian. Women work in kitchen. Nurse carries baby to patient. Jet plane. UNITED STATES 1960s: Man and woman mow lawn / Zoom out of group of lawn mowers.